Asbestos covered the suspect and water gushed into the home. 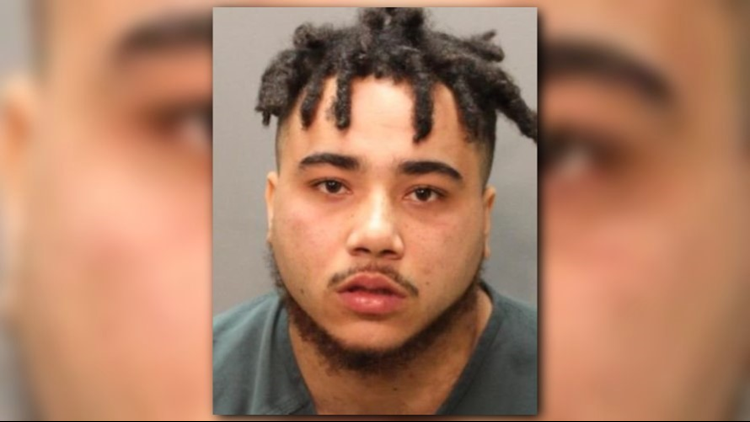 A 20-year-old Jacksonville man remains locked up on $1 million bail after officers found him hiding in an attic where he came crashing through the ceiling. He’s charged with two counts of attempted murder in the shooting of two teens in March at Courtney Manor Apartments, police records show. Officers showed up Thursday at an apartment at 10550 Baymeadows Road with a warrant for Justus Milan Harp’s arrest. His mother said she would go get him but then came back and told officers she was wrong and he might be walking around the complex, according to his arrest report. After a canvass of the area didn’t locate Harp, officers again talked with the mother who now confirmed he was inside and she would try to get him out. When that failed, the officers had the mother and a daughter leave the apartment while they took over. As they were giving loud commands to surrender, a female came out of a bedroom saying she hadn’t seen him, the report said. Officers further searched the home and located the suspect in an attic. They said he reached up and grabbed a PVC water pipe and came crashing through the ceiling beneath, according to the report. Asbestos covered Harp and water gushed into the home. He was cleared medically and arrested. Little information was released on the shooting that prompted his arrest. It happened in late March at 5620 Collins Road where two vehicles at the apartment complex also were hit. Two friends, 16 and 18, were wounded in the shooting. Click here to read more from the Florida Times-Union.